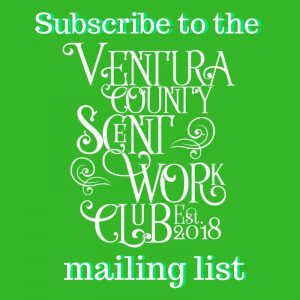 Here is the list of all upcoming AKC Scent Work trials, Premiums and Online Entries for Greater Los Angeles Scent Work Club, Ventura County Scent Work Club and Poodle Club of Southern California. 5/23/19 PCSC Judith Guthrie, Jeri Embrey, Suzanne LeRoy Pomona, CA Coming Soon! Coming Soon! 5/24/19 PCSC Judith Guthrie, Jeri Embrey, Suzanne LeRoy Pomona, CA Coming Soon! Coming Soon! 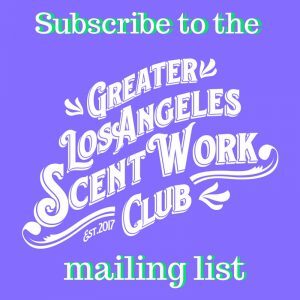 5/25/19 PCSC Judith Guthrie, Jeri Embrey, Suzanne LeRoy Pomona, CA Coming Soon! Coming Soon! 5/26/19 PCSC Judith Guthrie, Jeri Embrey, Suzanne LeRoy Pomona, CA Coming Soon! Coming Soon! 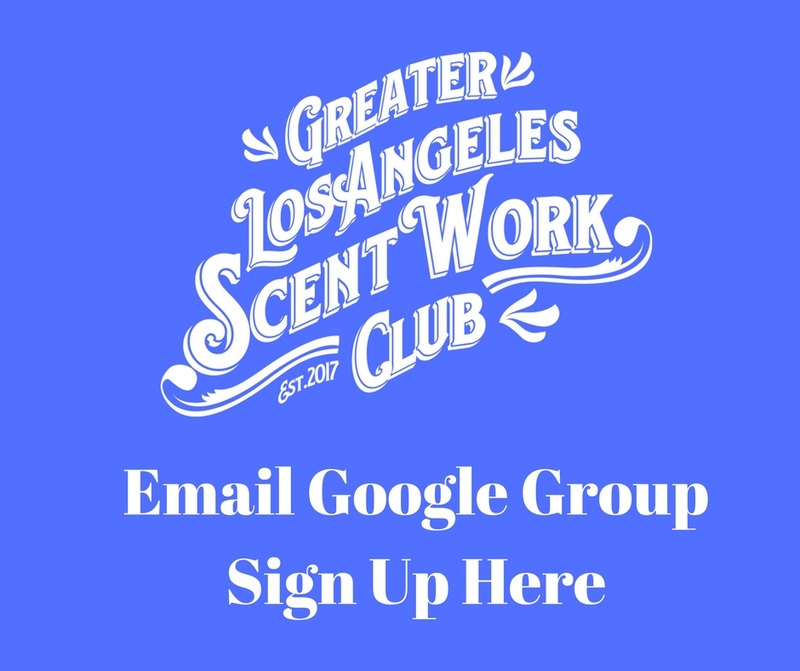 5/27/19 PCSC Judith Guthrie, Jeri Embrey, Suzanne LeRoy Pomona, CA Coming Soon! Coming Soon! November 18, 2018 USCSS TBD Newhall, CA Trial Page Enter this trial Open Now!! December 8, 2018 USCSS TBD Moorpark, CA Enter this trial Enter this trial Open Now!! 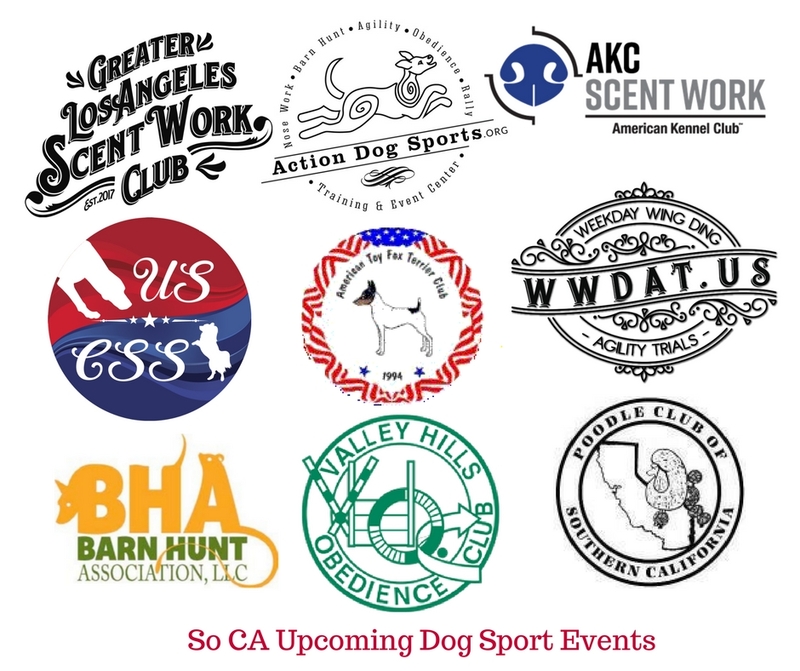 Dec. 28 & 29, 2018 VHOC AKC Judith Guthrie, Patti Garcia, Jeri Embrey Acton, CA Trial Info Enter Trial Open Now!! !